When we decided to spend winter of 2013 in Cedar Key, FL we were excited about experiencing Christmas and New Years in a small tiny town that had a moderate climate. Since I was growing my yoga practice I was worried that I wouldn’t have any opportunities to enjoy studio classes where I could benefit from the energy in the room. It really is a thing…that energy. And no matter how advanced a yogi gets, attending a class now and again can boost your practice, help correct some alignment faults (hopefully before muscle memory makes it difficult to do so) and revitalize a stagnant practice. 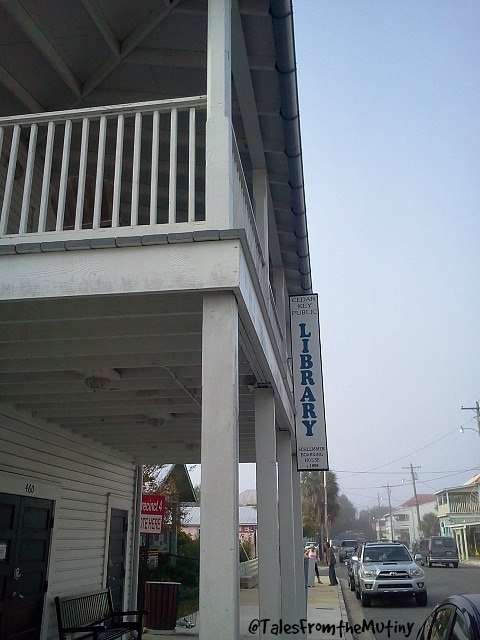 Unfortunately, Cedar Key doesn’t always offer teacher led classes. When I was there the only instructor in town was out of town (except for one class). But much to my surprise there is a rather large yoga sanga in this town of 701. I think it’s safe to say that every “class” I attended had at least 10, if not 15, practitioners. Don’t worry about being the only one to show up…it just won’t happen. 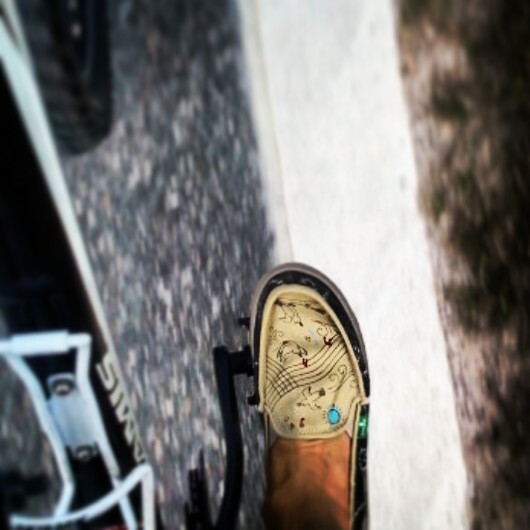 Despite the early, chilly mornings I rode my bike to the library or Church and rolled out my mat several times during our two month stay on the island. Almost all of those “classes” had no instructor or teacher so there was no one present to give corrections or demonstrate poses. Instead, someone would decide on which CD or audio tape to play and we’d follow along with verbal cues only. This might be a problem for those who are beginning their practice, not because the poses were advanced (none were) but because they may not be familiar with the names of the poses. For instance, if the tape said move from downward facing dog to plank and then chaturanga to up dog some beginners might feel lost. It would be possible to follow along by just copying one’s neighbor but without a teacher to help with alignment it is very possible to pick up bad habits. 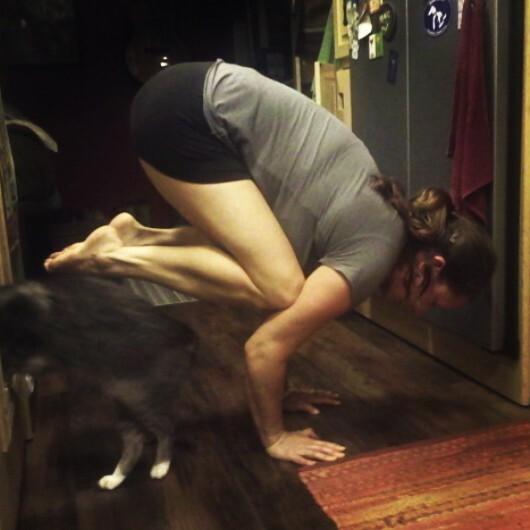 I don’t generally practice in the RV “hallway” but when I do I strike a crow pose. While I did enjoy the energy shared in these groups I found myself not attending as often as I could have. Part of it was the fact that I have a collection of online resources for my home yoga practice that allows me to practice at a level I am comfortable with and that challenges me on occasion. Waking up at 7am for an 8am gathering that might end up being an “intro to yoga class” wasn’t always appealing to me. Granted, the group dynamic was almost always worth the effort but my laziness, combined with a late afternoon challenging home practice, was more my speed at the time. It’s wonderful that the community of Cedar Key has pulled together and kept this 5 day a week offering going for years. They are truly dedicated to the practice and you’ll likely come away from “class” with a lighter feeling and a smile on your face. Depending on when you visit the area you might luck out and be able to attend a few classes led by Mary, which I highly recommend. This is the current offering according to the Cedar Key News. 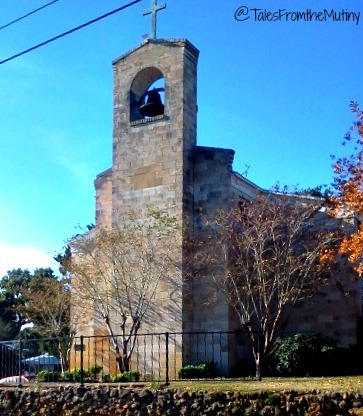 Be sure to check online or at the library or church when you get to town for any changes. 1) YogaDownload.com ~ This is my number one choice for yoga. With a Yoga Download Membership you can download yoga classes to your computer when you have wifi/data available and then watch them at a later date without using more data. For those of us with data caps this is especially appealing. I have 20GB per month so streaming yoga videos daily (along with everything else we need the internet for) would eat up all of our data. Yoga Download almost always seems to have a Groupon deal available. Their best offering is a 12 month membership for $29*. This includes unlimited streaming and unlimited downloads (in contrast, the 3 month membership for $12 offers unlimited streaming but only 15 downloads). You can select your class level and even choose what style of yoga you’d like to do. There are many options available like prenatal, kids, vinyasa, kundalini and hatha yoga as well as meditation classes. It’s great for brand new yogis as well as advanced practitioners. 2) DoYogaWithMe.com ~ This is a free site with hundreds of streaming videos for every level and style of yoga. They also offer meditation classes and pranayama (yogic breathing). But, it’s all streaming so, unless we’re somewhere with really fast and free internet (which rarely happens) it’s not an option for me. 3) YogaTime.tv ~ This is a new website from the creators of Yoga Inspiration. I bought into their Kickstarter earlier this year but so far they do not offer downloading from their website. You have to download the app to your smart phone in order to download videos. I’m not much for watching videos on my phone but for some, this is an appealing option. As soon as I get somewhere with free (good) wifi I’ll take a few classes and report back on this website. Current cost ~$11 per month. 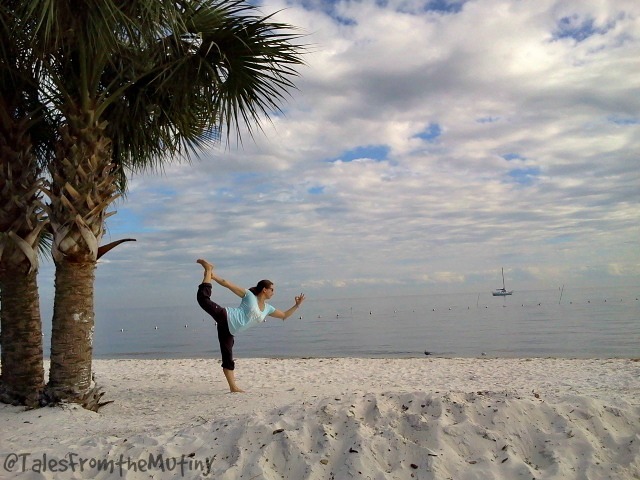 4) YouTube ~ There are a variety of yoga videos posted to You Tube. The problem is sorting through all of them and knowing which ones are good. After all, no one is vetting these videos so you’ll have no idea if the person “teaching” in the video is a real teacher. And if you’re new to yoga you can really hurt yourself or create bad form and habits with improper instruction. This is why sites like Yoga Time (above) and Grokker exist and can (rightfully) charge for their content. Those sites are good. Really good. And with in-person yoga classes at a studio charging $12-$20 per class, paying $11-$14 per month for unlimited curated, professional online classes really is a bargain. You can also see how the Yoga Download Groupon deal is a killer option. Personally, I don’t use You Tube for full yoga classes but I do watch Kino MacGregor’s tutorials from time to time. She posts many short videos that focus on one pose or a strengthening move rather than full classes. 5) DVDs ~ I only carry one Yoga series in the RV right now. It’s Tara Stiles: This Is Yoga 4 DVD Collection (note: this collection should only cost $20 on Amazon and I have no idea why, as of Nov 14, 2015, it’s listed at $160). While I’d love to recommend this to everyone, it might be geared more toward the intermediate yogi. But, there are plenty of other DVDs out there that will work for every level. A good brand to look for is Gaiam…they’ve been a leader in western yoga for many, many years. You can’t go wrong with Gaiam. I hope these suggestions help you develop and grown your RV/home practice. I’m lucky in that our floor plan allows for me to practice indoors when the weather is bad but I love to practice outside whenever possible. And, of course, I do like to strike a pose whenever and where ever the mood strikes. 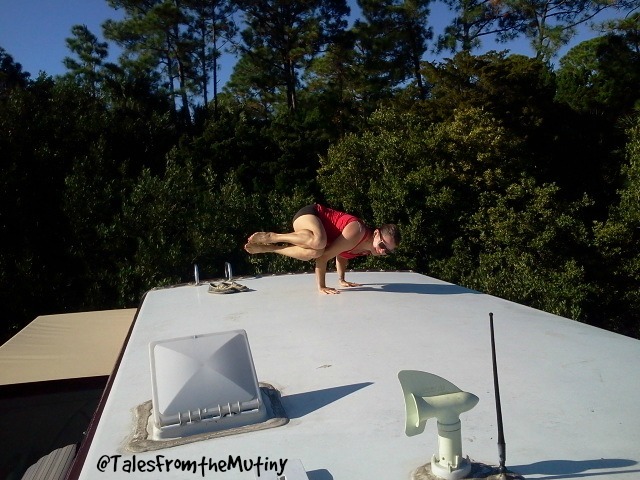 Yoga on the roof of the Mutiny (pre-solar). Yoga in front of the clubhouse at Sunset Isle. 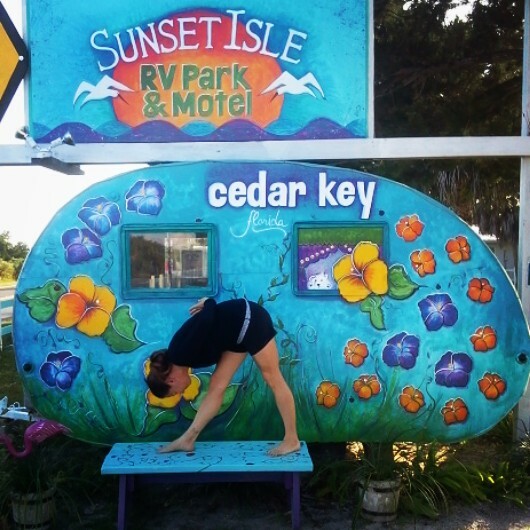 Yoga on the sugar white beach in Cedar Key. *The link is to the current Groupon deal that was good as of Nov. 14, 2015. If it has expired simply Google “Yoga Download Groupon” to see if there is a current deal being offered.